Gilbertd wrote: That sounds effing gorgeous!! I'll be home sometime tomorrow night so will get that R90E in the post to you on Wednesday so you'll have two decent ones. thanks gilbert ,i like it too , should sound even better when i richen up the front engine and then get some headers on it . as part of the master plan , i have been collecting these ..
to cobble together ,yup , they are Ti too. ok doke , here's a question . i am at the point where i am plumbing on the water feeds to the reducers . i have taken the bottom input to the water pump outlet , so that's under pressure ,the returns from the top of the reducers i was going to connect to the pipe coming out of the head of each engine ,that goes to the radiators.now it occurs to me that pressure wise , my highest pressure is from the pump to the engine ,then from the engin to the rads ,then ,lowest system pressure should be in the pipe from the rads to the pump. the question is , will i get enough flow through the reducers if i plumb the return into the engine to rad pipes ? Normally, but I admit there isn't much normal about Medusa, the reducers would be plumbed in the heater feeds. In series with the heater matrix if it has a full flow heater system or in parallel if the heater temperature is controlled by a valve. That way you get flow through the vaporiser(s) immediately before the stat opens and directs flow through the rad. Even if you aren't going to be fitting a heater, I would assume the outlets are still there? Connect the vaporisers where the heater matrix would be (if you had one...). thanks Gilbert ,unfortunately the heater take offs are not there . but i think i need to do a redesign . I had assumed the red would be very restrictive , but i am now thinking that's a bit of wishfull thinking , i need to move the feeds to the reducers to the pipes from the heads to the rads ..bumm! Right ,redesign done ! , take off now from the rad feed pipes ,and outlet to the pump .should be nice n hot . I've stayed quiet because I know the standard heater water flow setup on the Jag straight 6's is a bit unusual, remember a bit of head scratching on a few occasions when plumbing reducers in on them myself and that was without the heater circuit blanked off! A lot of vehicles use a circuit involving something like heater output comes straight from the pump and return uses same input as rad return, but I dunno if you mean using pump output as reducer output and rad input as reducer return. This would be like piping reducer in series with the rad only bypassing the thermostat? It's picturing what you mean I suppose.. But what I just said would mean engine warms up slower, might run cool and reducer might not get as much flow when stat opens. Unless you mean pump output and rad return? That would mean pump flows water in a closed circuit just involving pump and reducer, but still would expect enough water mixing to keep water flowing all through engine and the reducer hot. Slightly different subject - I might guess but still interested to ask in how you're plumbing 2 engines to one rad if that's what you're doing? 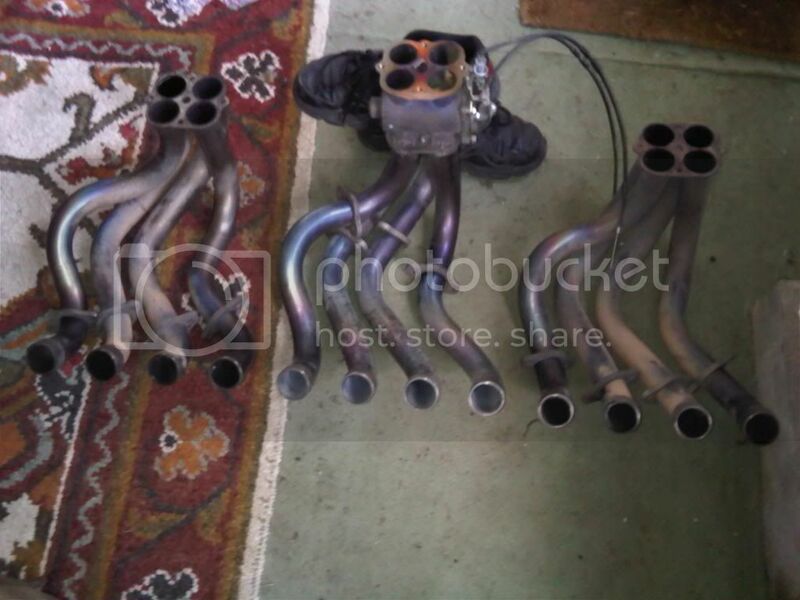 LPGC wrote: Slightly different subject - I might guess but still interested to ask in how you're plumbing 2 engines to one rad if that's what you're doing? 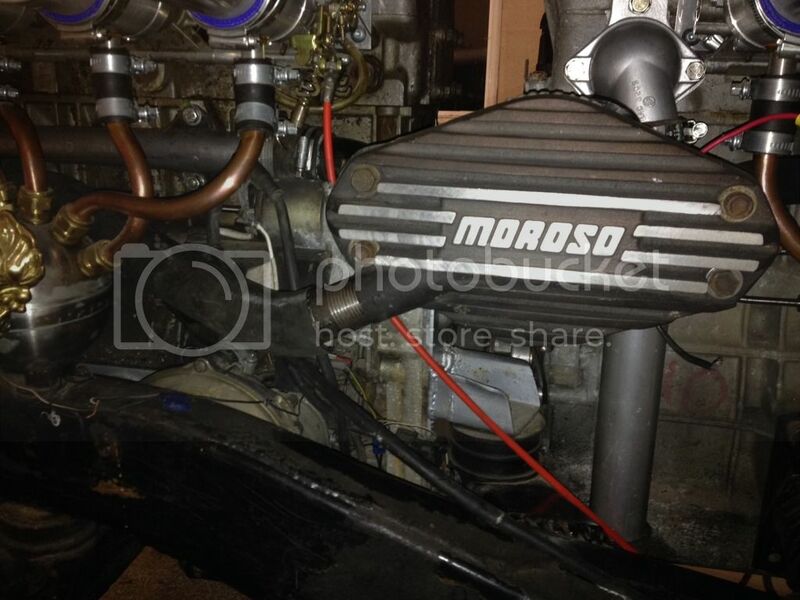 Simon , i have a small block ford moroso electric water pump ,, this has two legs pumping out water ,and one inlet. 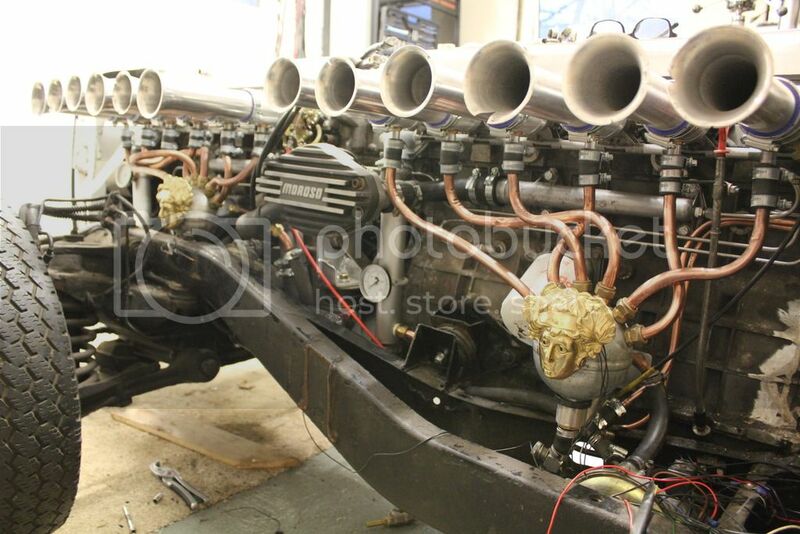 i swapped the front engines water manifold around so the output legs of the pump now connect to the two water manifolds on the blocks .water then comes out of the each engine ,and goes to its own mg metro turbo mk1 aluminium radiator , of which there are two ,mounted in the grill. when the water comes out of the two radiators , the two outlets join into one pipe ,that then goes back to the pump inlet . 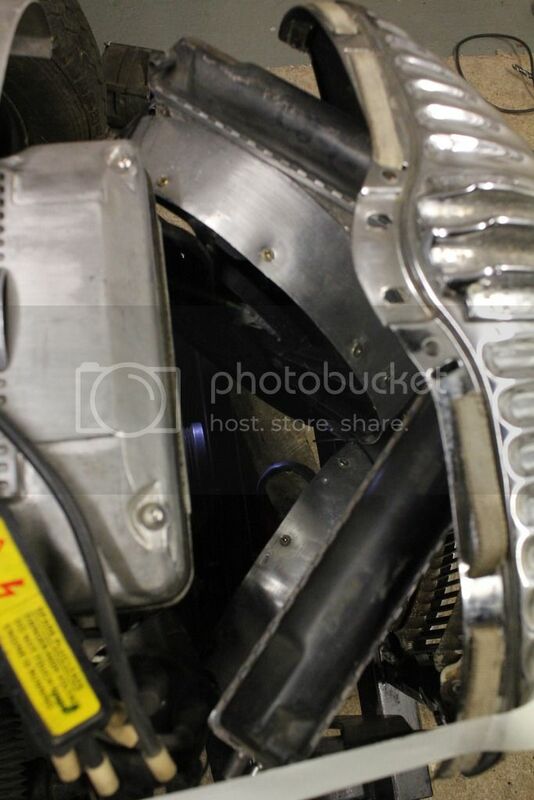 my reducers are connected at the bottoms to the pipe flowing from the engines to the radiators front engine pipe feed the front reducer and back radiator pipe to the back reducer . the top connections form the reducers connect to the water pump inlet . effectively the reducers are in parallel with the radiators . Bloody hell Rob, all I can say at this point is that your setup is outside the realms of my own and probably most people's experience! I reckon you'll be better informed on what will work and what won't regards cooling. Looks like being a matter or try it and see? haha , so much of the car is try it and see Simon , i should make a list of what i think can go wrong ,and award each line with a betting odds as to whether it actually will work or not . well , i had the pump already so it was not an additional expense ,also fitting the manual water pump at the front would spoil the line of the body because it sticks out past the grill , and there is no front pulley on the back engine so no v groove for it . This type of pump is fitted on up to 7 litre v8's ,so it will be interesting to see of it can keep this bastardised conglomeration cool or not . robertXX wrote: fitting the manual water pump at the front would spoil the line of the body because it sticks out past the grill , and there is no front pulley on the back engine so no v groove for it . Picturing a crew of us on Medusa, big grins all round, dropped jaws and a fair bit of rubber necking from others... Spin maybe the operative word... Let me bring the gas bottles and you bring the tyres Dai! i am hoping this summer ,but not really sure , just plod away at the separate jobs till its done . I am in the position now where ,with a bit of wiring and the dash in, it will be driveable ,,although without a working hand brake . oh ps , yes Simon that would be a great laugh ,and i am sure i would end up with the best settings on the lpg system i could have ! Last time me and Dai were in a car together we were doing ton-up on Anglesey in a P38. i bet ...sniggering as well !